Since childhood, Kat has worked very hard to suppress the visions and nightmares that followed her mother's suicide. Now as a young woman, her decision to return to Northport, Michigan, has triggered the recurrence of those childhood dreams and the fear that her psychic abilities will cause her to become mentally unstable like her mother. As Kat tries to settle into life in the small harbor town, she is introduced to John Warren, a handsome but mysterious winery owner whose parents vanished while sailing on Lake Michigan three years earlier. 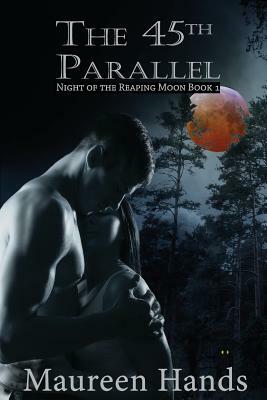 Compelled by her intense attraction to him, Kat reluctantly agrees to find out what happened using her psychic powers. As Kat begins to unravel the mystery, she will have to struggle to save her sanity and her life as she discovers what the disappearance of John's parents, her mother's death, and the curse of the Reaping Moon have in common.